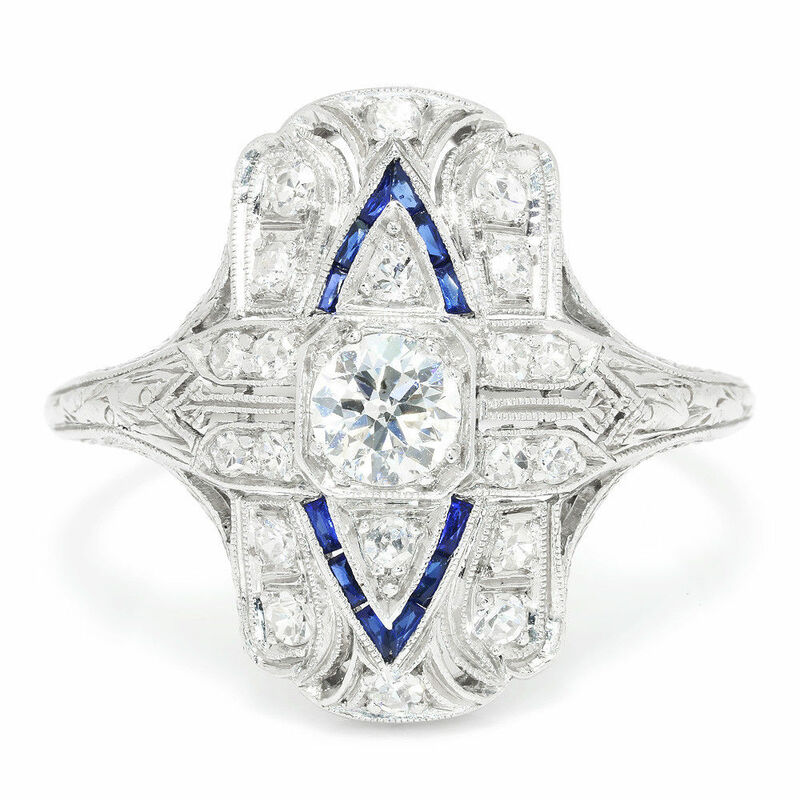 Featured is an intricately made Art Deco diamond and sapphire ring made of solid platinum. It boasts a beautiful .35 carat old European cut natural diamond at its center graded G in color and SI1 in clarity. It’s flanked on all sides by intricate filigree and milgrain details as well as single cut diamonds. 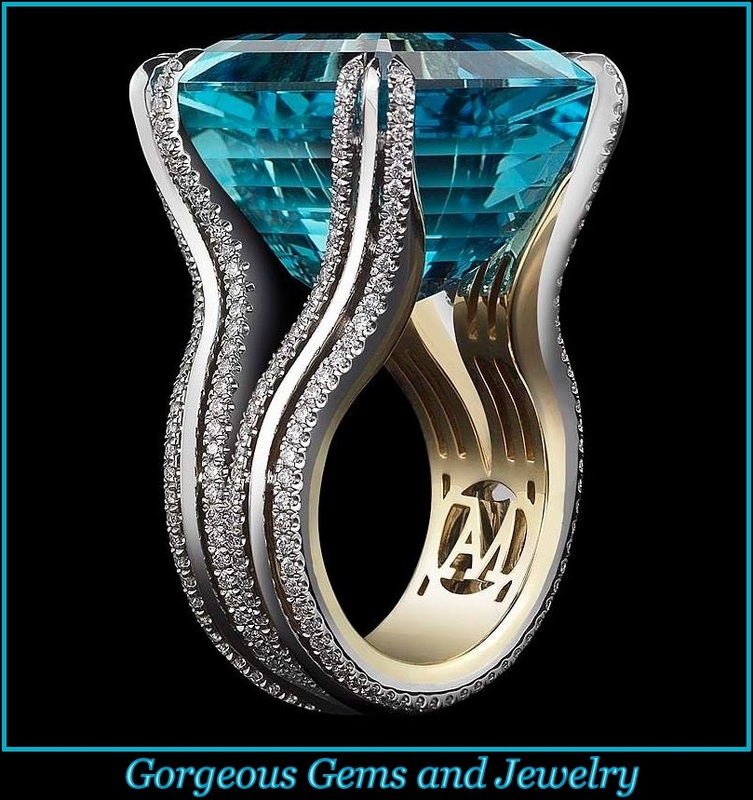 To the North and South of the centerpiece are V shaped designed encrusted with calibre cut blue sapphire’s. The vintage ring is a size 9.75 and we offer complimentary resizing and express shipping. It is in excellent condition.